On August 17 this year. 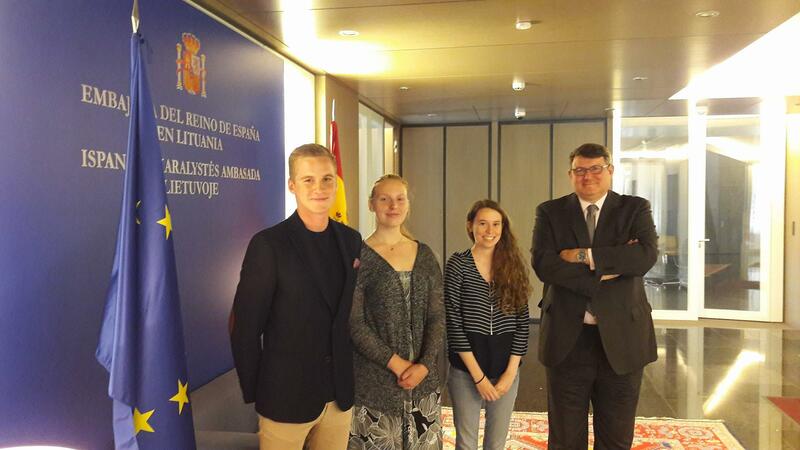 trainees of the European Foundation of Human Rights (EFHR) Anna Mitrowska, Maciej Grześkowiak and volunteer EVS Carmen Cara Lorente met with the General Consul of the Kingdom of Spain, Mr. Bernard López López-Rías. During the meeting, the Consul was presented with the history, goals and real activities of the EFHR, as well as the problems of national minorities in Lithuania. Subsequently, the Consul was asked to provide information on the legal status governing the situation of national minorities in Spain, as well as the practices of relevant Spanish state bodies and state policy in this matter. During an almost one-hour meeting, the Consul not only provided exhaustive answers to questions of legal nature, but also presented the historical and cultural background of the attitude of Spain to national minorities in its territory. Undoubtedly, it was an interesting and enriching experience for young EFHR trainees. After the meeting, the Consul showed his trainees around the embassy and agreed to a commemorative photo. Article 3 of the Constitution of the Kingdom of Spain states that the Castilian language is the official Spanish language of the state, and all Spaniards have a duty to know and use it. 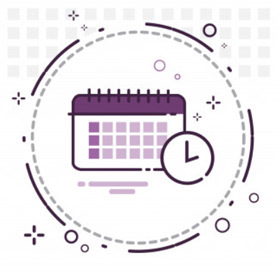 However, it is worth adding that the other Spanish languages are also official languages in the relevant autonomous communities, for example in Catalonia. The Constitution also emphasizes that “the richness of the various language varieties of Spain is a cultural heritage that is subject to special respect and special protection”. This is undoubtedly a beautiful example of respect for the rights of ethnic minorities in this diverse country from which Lithuania could take an example, including adopt the relevant law on national minorities, which expired in 2010. EFHR bardzo dziękuje za spotkanie i ma nadzieję na owocną współpracę z Ambasadą Królestwa Hiszpanii.